An immigration record for Nasib Dow created in 1912. On the front is a document issued upon his passage on an Austro-Americana line sailing from Argentina. Another name is listed along with Dow's, though it is illegible. 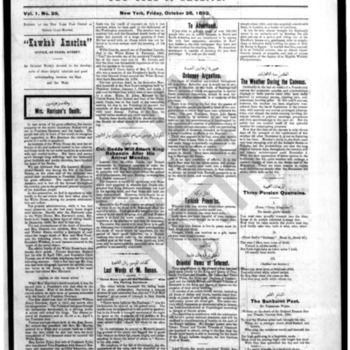 An issue of al-Kown dated March 5, 1908.